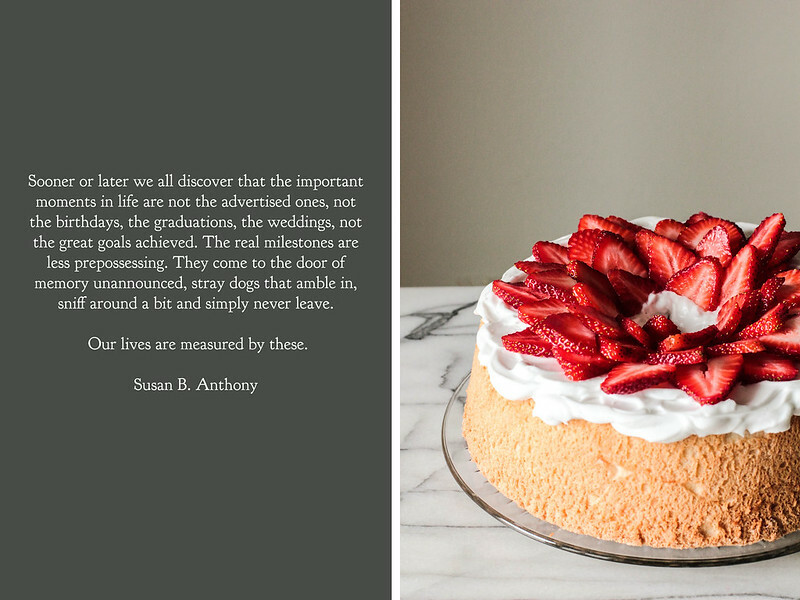 Two big moments quietly arrived last week—Pastry Affair's 4th birthday and my own 26th birthday. 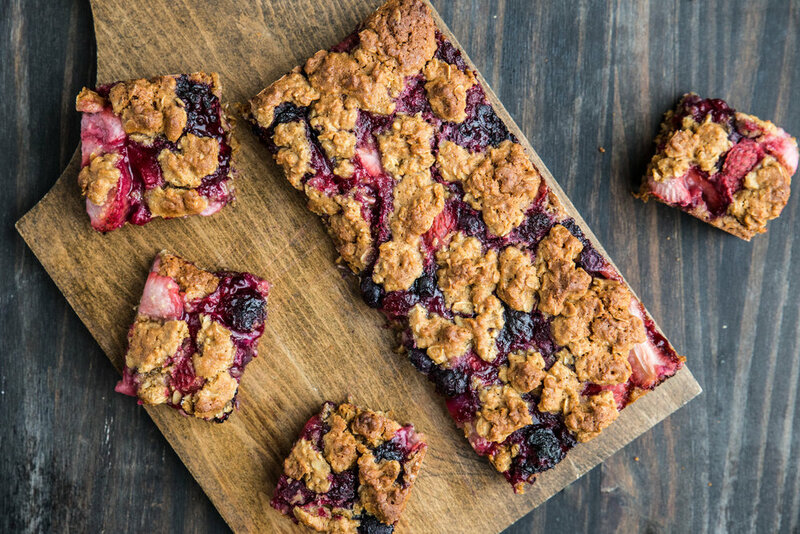 Pastry Affair's momentous occasion arrived with little to no fanfare, forgotten at first, and sheepishly remembered a few days later. It feels so natural for me to identify as a blogger now, to spend hours each week in the kitchen and behind the camera creating. The event just slipped my mind. I should be celebrating these moments with more of a flourish (they do come few and far between); next year I hope to remedy this problem. Pastry Affair and I struggled this past year (how much this showed, I do not know). As a first year high school teacher, I often felt emotionally drained, devoid of free time, and guilty for not being able to balance blogging with a new career. I knew this space would grow quieter once school began, my recipes decreasing from three times a week, to two, to one. I didn't, however, realize that my feelings towards blogging would change. Instead of being my safe haven, my escape from the world, it felt more like work than it ever had before. I began to avoid this space. More than once this winter, I wanted to throw in the towel and say goodbye to this space—not indefinitely, but for awhile. I felt stuck, struggling with writer's block and a lack of inspiration. Despite these feelings, I pushed through to come out on the other side. My relationship with Pastry Affair is slowly on the mend. 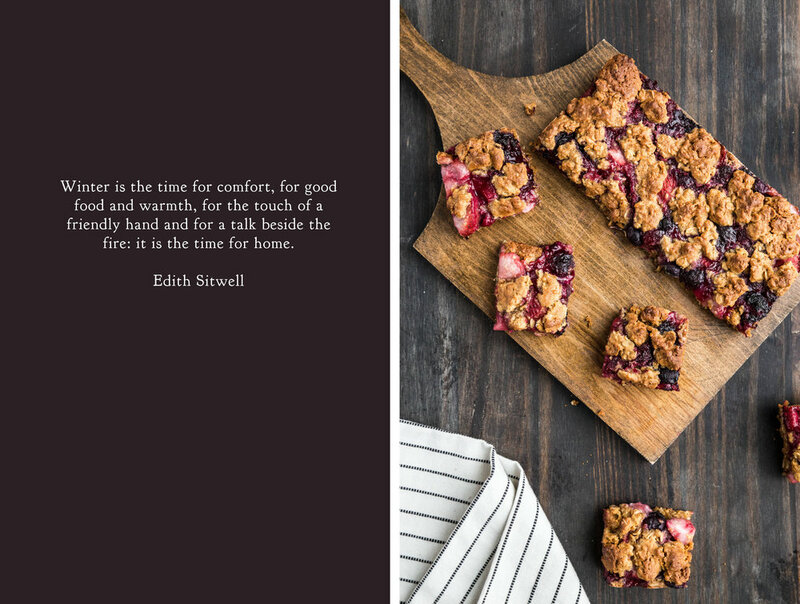 Baking and photography have stayed a constant love in my life; I am drawn back to it if I stay away for too long. With summer vacation starting next week (and more free time than I'll know what to do with), I imagine that our relationship will make strides. I am ready to love this space again. Thank you for staying here, for your comments and emails, for your endless support. You are the ones who keep me coming back to this space, inspiring me to create new recipes, pushing me to grow as a photographer. Whether you realized it or not, this year I needed to feel your support the most and you certainly did not disappoint. Thank you, truly. 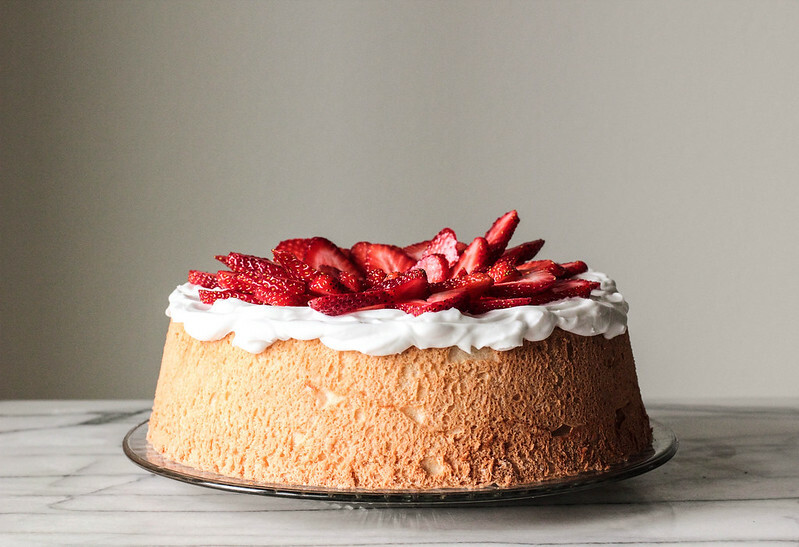 Strawberry Topped Angel Food Cake has been my birthday cake of choice since I was very young. I remember looking through an old Taste of Home cookbook as a child, seeing a picture of this cake in the centerfold pictures. It may not be brightly colored or adorned in frosting, but its simplicity was perfect for me. My mother made it for my birthday then and nearly every year since. The combinations have varied slightly, drowned in chocolate syrup some years, and left plain for others, but the heart of the cake has never changed. To tell you that I adore this cake simply would not express the memories or joy behind it. As a newly defined 26 year old, I made my own birthday cake this year. I had a quiet celebration with my boyfriend, feeling more like an adult than I have in years past. I have a career, I keep up financial spreadsheets, I have a greater understanding of who I am. Even so, I haven't left young adulthood completely behind. I still binge watch my favorite television shows, I eat popcorn for dinner more often than I should, and I rarely make my bed. Mid-twenties, I have found, are an interesting harmony between youth and adult, a harmony that deserves cake. 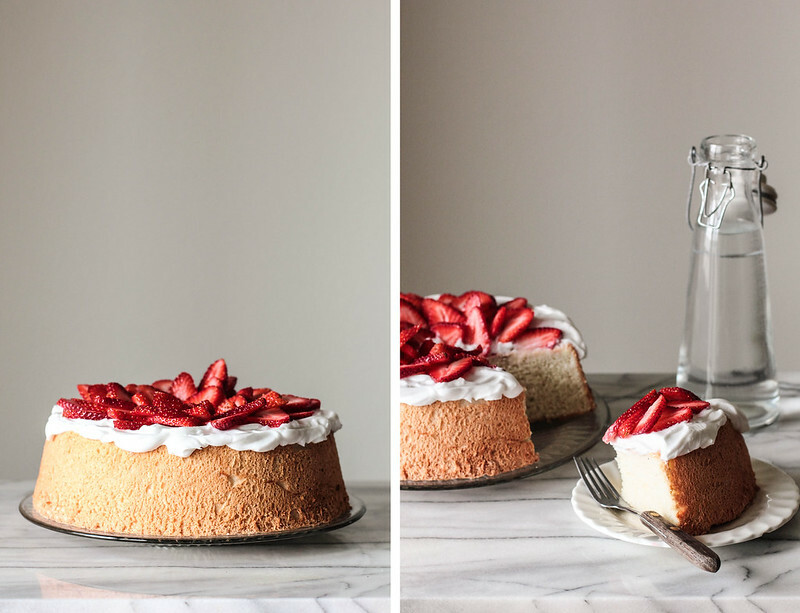 Berry Topped Angel Food Cake has been and will always be my ideal cake. 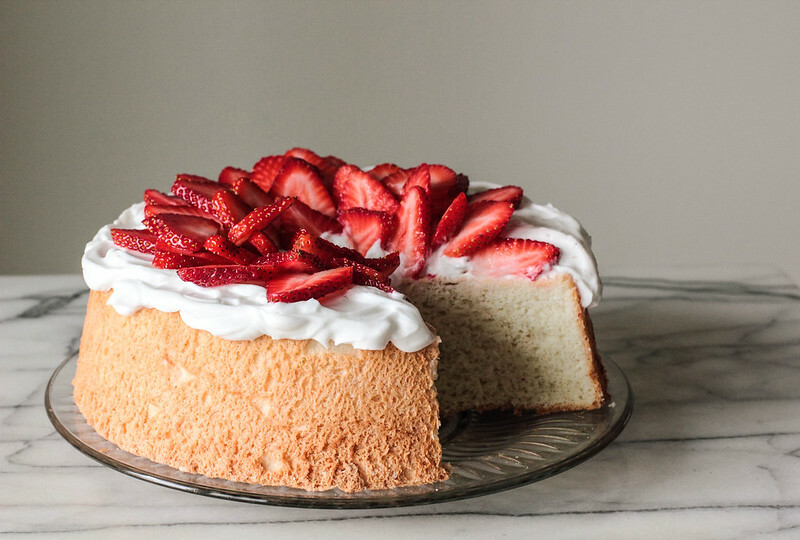 The cake is feather light with an incredible sponge. 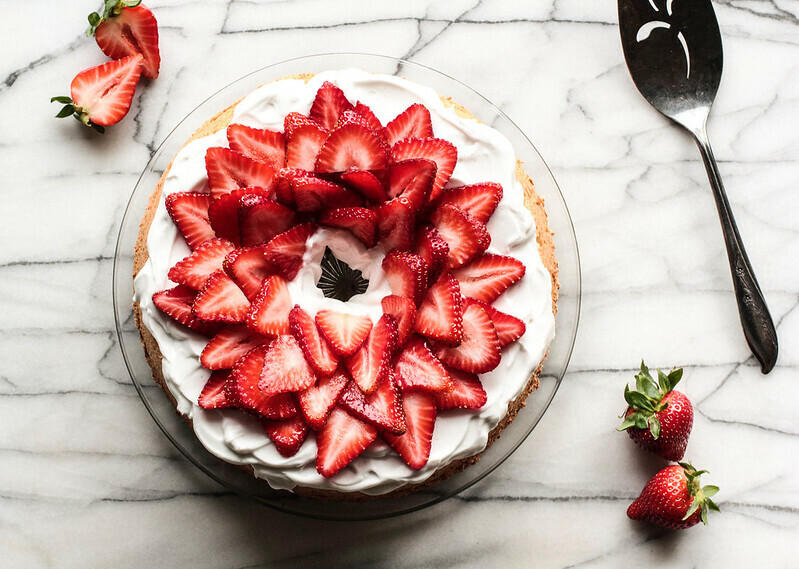 With a spread of whipped cream and a topping of ripe strawberries, the cake is complete. 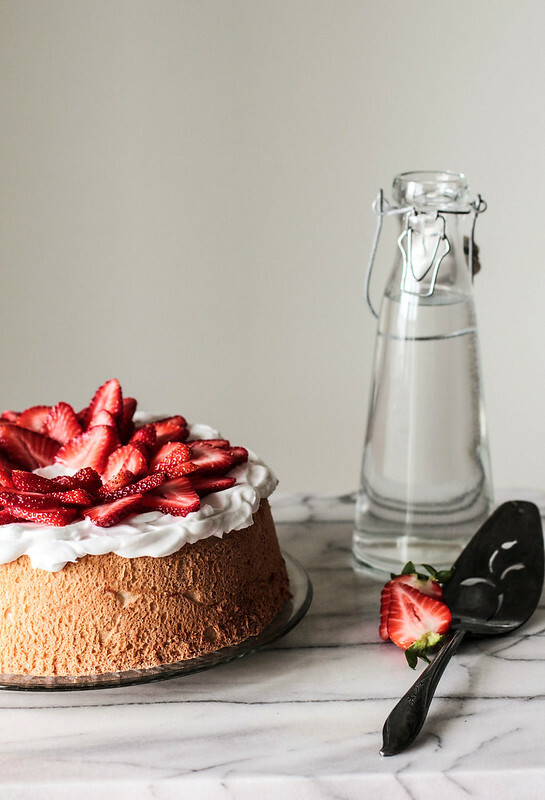 While any berry would be appropriate, I prefer the cake with sweet strawberries. 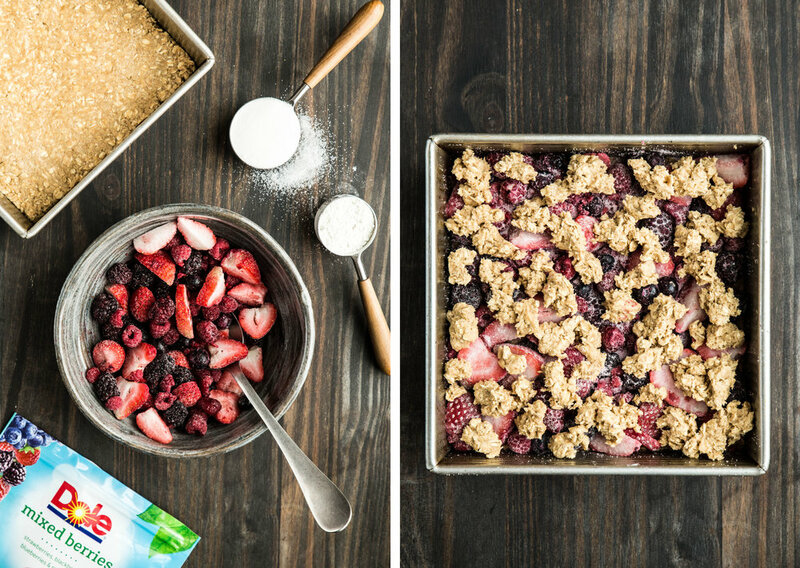 This cake is a keeper, no matter how old or young you may be. 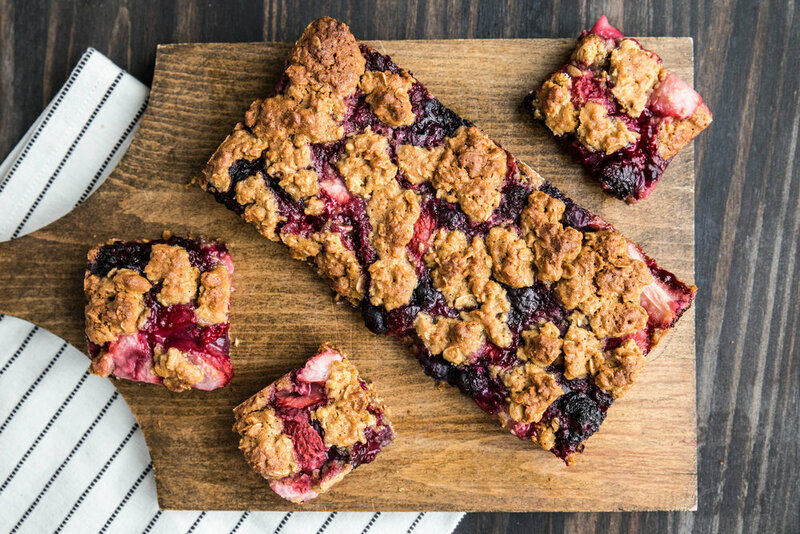 Serve it with extra berries, macerated in their own juices, for those like me who would prefer berries with every bite.